Engelbert Farms Store and Creamery, located at 263 W. River Rd. in Nichols, N.Y. recently celebrated the grand opening of its new location inside a historic building. 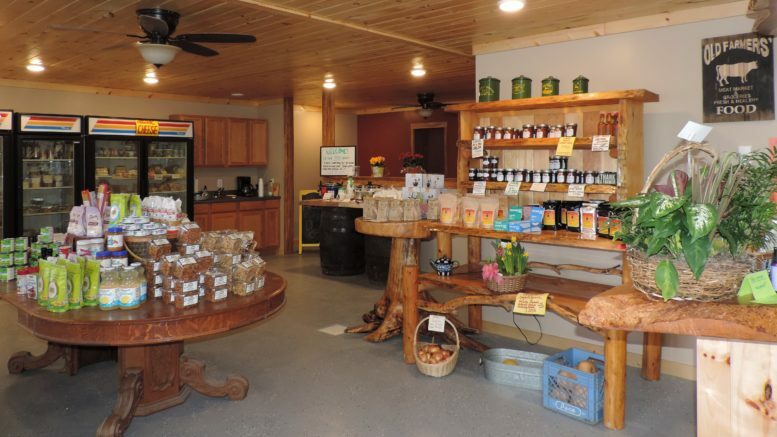 The original farm store, just a mile away at 182 Sunnyside Rd., on the property of Engelbert Farms, opened in 2009. Kevin and Lisa Engelbert’s sons, Joe and John, purchased the creamery building in June of 2018. Home to two other businesses today, Shear Creations Hair Salon and Nichols Family Fitness, as well as two other rented-out garages, the Engelbert’s have exciting plans for the remaining square footage. The creamery, circa 1891, housed Borden’s starting in 1906, which continued for more than four decades when Crowley stepped in. Later home to a business owned by Lisa Engelbert’s aunt and uncle, the Baker’s, the property sat vacant for some time. 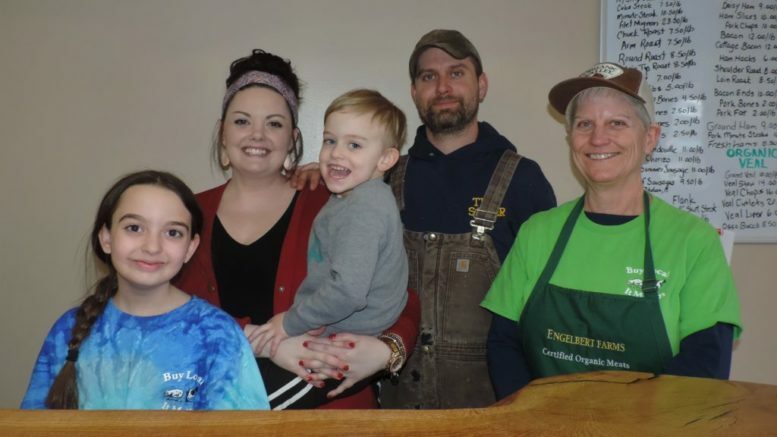 Today, the Engelbert’s farm store features a beautifully crafted table and counter tops created by their son Joe, and which he made from an old sycamore tree that once stood on the Baker’s property. With a focus on promoting more high quality, local and organic products, Engelbert’s Farm Store and Creamery is conveniently located and features ample parking and a disabled accessible ramp. Future plans are to turn the old creamery into a new creamery with the goal of first producing cheese curds, yogurt and ice cream, and further down the road, bottled milk. The upstairs will be used for storage, while another area will be used as a community space and rented out for special events. Engelbert Farms Store and Creamery, located at 263 W. River Rd. 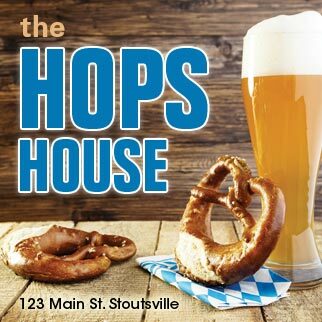 in Nichols, N.Y. is celebrating the opening of its new location inside a historic building. Provided photo. Farming organically since 1981, Engelbert Farms was the first certified organic dairy farm in the country. Today, Joe and John, along with their families, are the fifth generation of Engelbert’s to continue the farming legacy. The family roots in the Southern Tier go back as far as 1848, and farming on the Nichols property began in 1911. Today the Engelbert’s work with Organic Valley, America’s largest cooperative of organic farmers. From dairy cows, beef cows, veal calves and pigs, along with certified organic seasonal vegetables, the farm uses no chemicals on the fields or in their processing, and no antibiotics, hormones or synthetic wormers are ever used on the animals. At the farm store, customers will find in-season vegetables and organic meats and cheeses, and where artisanal cheeses are made from their own organic milks. Items from other individuals and farmers include jams, honey, maple syrup and coffee, just to name a few, as well as fermented products and other organic staples. Take-out food selections, made from organic ingredients right down to the spices, are available for purchase, as is fresh baked goods by Joe’s wife, Deidre. In the future, Lisa mentioned that the Engelbert’s would pursue a liquor license so they can sell locally made wines. Farm Store hours are Thursday and Friday, from 11 a.m. to 5:30 p.m., and on Saturday from 10 a.m. to 3 p.m.
For more information, call (607) 699-3775. You can find “Engelbert Farms Store and Creamery” on Facebook or view their website, www.engelbertfarms.com. Be the first to comment on "Engelbert Farms Store and Creamery celebrates grand opening"